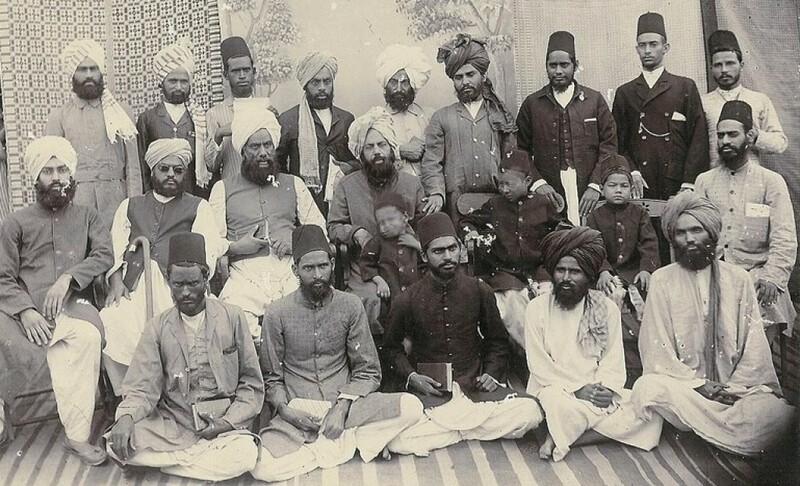 Today is 23 March 2018, and it's been 129 years since the Promised Messiah, Hazrat Mirza Ghulam Ahmad (as) of Qadian, founded the Ahmadiyya Movement in Islam and accepted the oaths of allegiance (Bai'at) from his 40 disciples in the house of Sufi Ahmad Jan in Ludhiana. The first person who took the oath from the hand of the Promised Messiah (as) was Hazrat Maulvi Nuruddin (ra) of Bhera who later became the first caliph of the Promised Messiah (as) - Khalifatul-Massih Awwal. In Mauritius and other countries of the world, this historic day is known as: “Promised Messiah Day” and we, the Ahmadi Muslim, take this opportunity to speak about the life and aspects of the mission of the Promised Messiah (as). 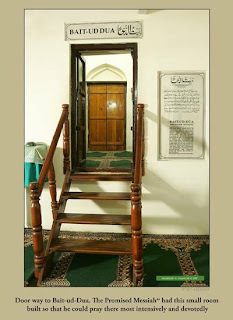 Thereafter Mirza Hadi Baig chose a portion of this vast land, and decided to settle there with his clan. 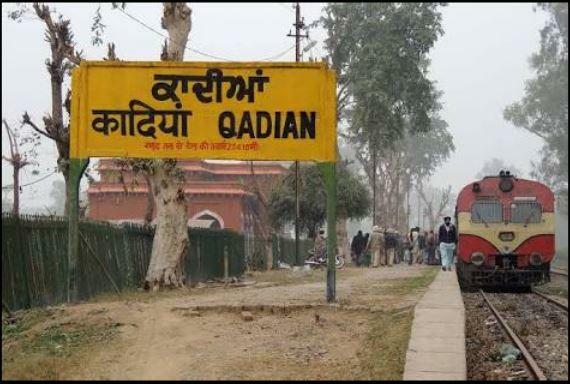 He then founded a city and named it Islampur and with the passage of time, the name Islampur passed through several forms of change and was known as Islampur Qadi Maajhi, and then simply Qadi Maajhi, and then Qadi, and where finally this city was known like Qadian. 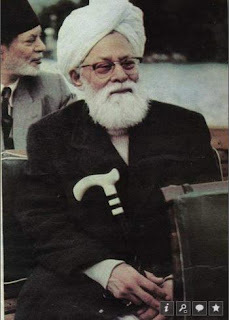 The paternal great-grandfather of the Promised Messiah (as) was Mirza Gul Muhammad, who was a pious man filled with the fear of God (Taqwa), and he was also known as an honest person. The paternal grandfather of the Promised Messiah (as) was Mirza 'Ata Muhammad, who was the son of Mirza Gul Muhammad. And the father of the Promised Messiah (as) was Mirza Ghulam Murtaza and his mother was Chiragh Bibi. Her mother was known for her hospitality and the great care she brought to the poor. According to various calculations, the Promised Messiah (as) was born on Friday, 13 February 1835 (14 Shawwal 1250 Hijri), before sunrise. He was born with a twin sister (who did not survive). 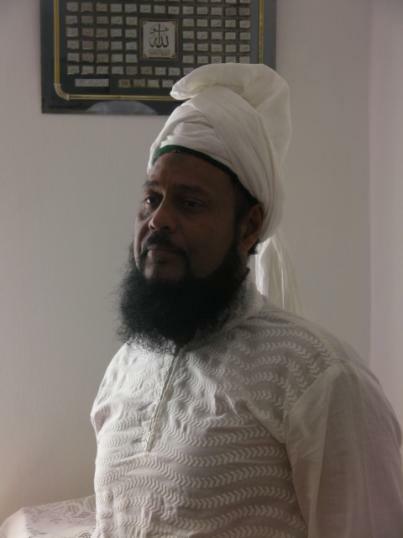 His twin birth was recorded in Islamic literature regarding the fact that the Promised Mahdi will be born with a twin. 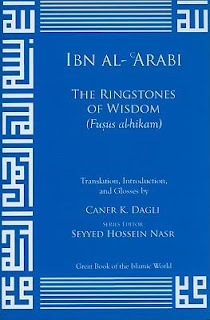 (Fusus al-Hikam by Muhyiuddin Ibn Arabi). Since his childhood, the Promised Messiah (as) did not like to waste his time in useless things and he remained far from the mischief that his little comrades did at their age. For his education, his parents brought three different tutors, one after another at home to educate him in several subjects. The Promised Messiah (as) married at a very young age. His first marriage was celebrated when he was only 15 years old. It was an arranged marriage with his cousin Hurmat Bibi (from her mother's family, Hurmat Bibi being the daughter of his maternal uncle Mirza Jamaat Baig). Two sons were born of this union: Mirza Sultan Ahmad and Mirza Fazal Ahmad. 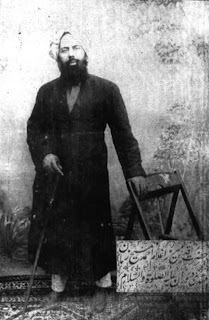 While Mirza Fazal Ahmad and Mirza Sultan did not have faith in their father as the Mujaddid (Reformer) and Promised Messiah of his time during his lifetime, but it is only Mirza Sultan Ahmad who, after the death of his father got faith, and took the Pledge of Allegiance (Bai'ah) and integrated the Jama'at Ahmadiyya at the hand of his half-brother, Hazrat Mirza Bashiruddin Mahmud Ahmad (ra), the second Caliph of the Ahmadiyya Movement. 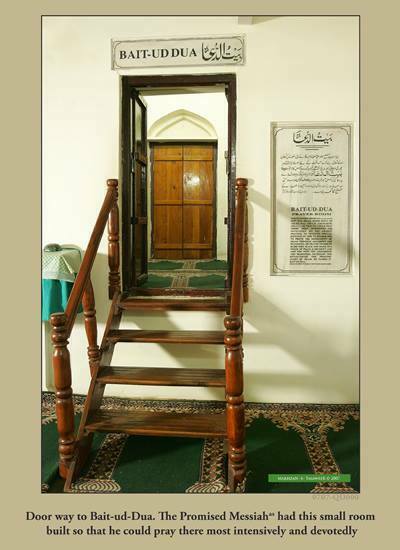 Since very young, Hazrat Mirza Ghulam Ahmad (as) loved his privacy (his life of isolation/ seclusion) and spent most of his time in supplication to Allah (duas) and prayer (Salat) or he was immersed in the study of the Holy Quran. His father was well aware of his son's great concern and preoccupation for religion, but nonetheless, he was worried as a father of his son's future, worried if he could make ends meet after his death. He was not worried about his present, because as long as he, the father would be alive, it is he who would take care of his son, but what would happen to his son after his death? 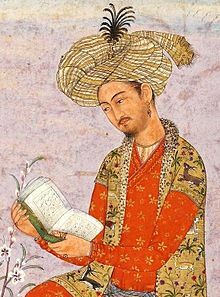 Mirza Ghulam Murtaza used to point out to his friends, regarding his son, saying, “This son of mine is a ʻMaseetar’ (that is, in Punjabi: one who spends most of his time in a mosque, praying). He does not look for a job and is not interested in making a living (to support himself financially) ...”. What a great honour it would have been for him if he had lived long enough to witness how Allah had subsequently chosen his son and made him Messiah and Mahdi Promised of his time! This revelation gave him an extraordinary comfort and relieved him of his worries and gave him peace of mind, since it was clear that it was Allah who would take care of him and rid him of all his problems. In the year 1882, he saw the noble and holy prophet Hazrat Muhammad (pbuh) in a vision and it was then that he received the first revelation (concerning his proclamation) from Allah about the fact that Allah had chosen him and raised him as Mujaddid (Reformer). Subsequently in 1889, Hazrat Mirza Ghulam Ahmad (as) founded the Ahmadiyya Movement to revive the faith in Allah, and to refute all arguments against Islam and against all the teachings of Islam. 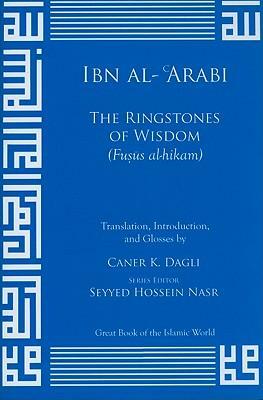 He was the protector of the Quran and the Muslims, but unfortunately the majority of Muslims did not recognize his value and treated him with despicable names. He died in Lahore on 26 May 1908, and left behind him an aggrieved Jama'at who later struggled for a long time to propagate his teachings in the best way. But unfortunately with time, little by little the people of this Jama'at moved away from his teachings and from Allah and those who are at the head of this Jama'at took themselves as superpowers and flouted his teachings, and then Allah, by His immense grace, raised another Mujaddid, and Messiah in this present age to bring reform to the whole world and to defend the honour of Islam, Hazrat Muhammad (pbuh) and of Hazrat Mirza Ghulam Ahmad (as), the servants par excellence of Allah. Alhamdulillah. May Allah help us all to remain under the banner of Islam and to always safeguard the honour of the messengers of Allah, and the reformers of the religion of Allah. May Allah help the Jamaat Ul Sahih Al Islam to accomplish this great work, always having people with piety and the fear of Allah in its circle. Insha-Allah, Ameen. ---Friday Sermon of 23 March 2018(04 Rajab 1439 AH) delivered by Muhyi-ud-Din Al Khalifatullah Hadhrat Munir Ahmad Azim Saheb (atba) of Mauritius.